Reps probe multi-million naira shady contract at defence ministry – Royal Times of Nigeria. 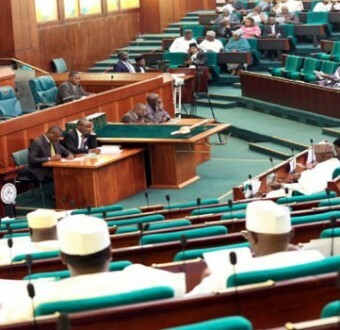 The House of Representatives has mandated its Committees on Defence, Army and Public Procurement to probe an alleged contract scam running into millions of Naira in the Federal Ministry of Defence. The resolution was sequel to a motion moved under matters of urgent public importance by Tajudeen Yusuf (Kogi State, PDP) at yesterday’s plenary. According to him, the contract is for the relocation and refurbishment of level 2 hospital under the United Nations Multi dimensional integrated stabilisation mission in Mali. The lawmaker observed that the level 2 hospitals which were funded by the United Nations and awarded to countries which contributed troops/ Police to global peace missions, carried out limited surgeries, including life, lamb and organs, on officers and men on military duties. Yusuf also raised concern that the scandal blew open, following United Nations’ directive that Nigeria should move the level 2 hospital from its present temporary camp at Timbuktu airport in Mali to the more secured new UN super camp also in Timbuktu. Yusuf, while moving the motion, said, “The entire media space has been awashed with an alleged duplication, misappropriation and mismanagement of multi-million naira contract in the Federal Ministry of Defence. “In desperate bid to cover its tracks, the Ministry of Defence in February 2017, allegedly awarded a contract for the refurbishing and relocation of the hospital to a contractor who had zero experience in installation of level 2 hospital,’’. Put to voice vote by the speaker of the House, Yakubu Dogara, the motion got the nod of members.